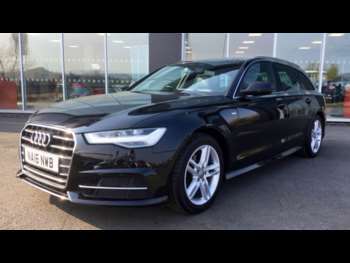 Our collection of used Audi A6s exudes quality and style. As one of the best-made cars this premium brand offers gives its rivals a run for their money. It’s a car that’s typically made for those who want to put comfort before sport, with plenty of luxury details thrown in to seal the deal. This car is thick, put together and can make you feel wholly closed off from the rest of the world. There is a huge amount of choice and offers to be discovered in RAC Cars range of second-hand Audi A6s. Four-wheel drive and plenty of space are what you can expect when you buy this comfortable, stylish car. Combining practicality, technology and powerful capability, you’ve got a car with a massive appeal in many areas. As with all Audis, you can expect excellent build-quality and driving experience. 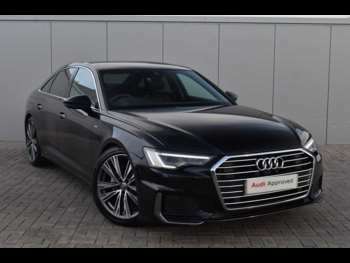 With a number of special edition models to explore, there is something for everyone whether you prefer an A6 coupe, A6 estate, A6 hatchback or A6 saloon. As a prestigious model from Audi, this car drives exactly how you would expect: excellently. To give you more of an idea, think of it more like a long-distance tourer than a B-road roadster. But, nevertheless, the A6 will inspire almost every time you jump in. Its suspension is nicely sprung and comfortable, making for an unforgettable drive. Got a specific Audi A6 model in mind?